Five of our former trainees are celebrating their first Christmas as fully qualified Muckle LLP lawyers, having secured roles across the business. 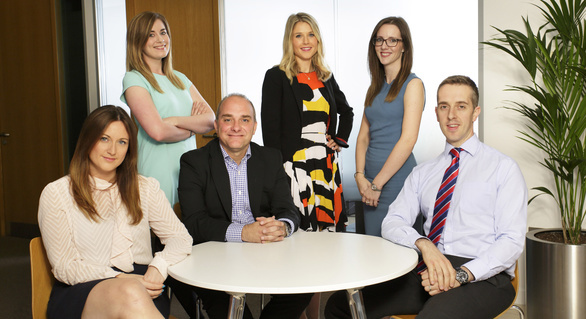 Here are our home-grown, newly qualified solicitors. Janine, from County Durham, joined as a paralegal in 2014 and Construction and Engineering was her first seat as a trainee. Clearly the team and the work made a big impression and after experiencing various other seats, Janine chose to take up a permanent role there after qualifying this year. After experiencing a variety of different disciplines, Stephanie decided to focus on corporate finance after qualifying. Originally from Newcastle, Stephanie has already made headlines advising on a number of high profile North East deals that made the press earlier this year and were recognised at Insider North East Dealmakers Awards 2017. Originally from Carlisle, Luke joined Thames Valley Police where he worked for seven years across a variety of roles. Two years as a detective working closely with solicitors persuaded Luke to return to the North and retrain to become a solicitor. Newcastle born Kate first joined Muckle in August 2014 as a paralegal in the Corporate team. After six months off travelling the world, Kate returned as a trainee in September 2015 and qualified into the Real Estate team in April this year. Sam, from Lancashire, briefly worked in recruitment before joining Muckle as a paralegal, so it’s fitting that she has chosen to specialise in commercial and employment law since qualifying. A keen supporter of her local community, Sam also makes time to volunteer as a tutor at North East children’s charity Success 4 All. Jason Wainwright, Muckle LLP managing partner, said: “We’re delighted to retain five home-grown newly qualified solicitors this year – all excellent individuals who have really hit the ground running since qualifying into their preferred legal teams. They are highly skilled, hardworking and down-to-earth people who really care about the North East and I’m confident they have incredibly promising careers ahead of them. “We are a people business, so hiring and particularly developing the right kind of employees couldn’t be more important. We recently launched our ground-breaking solicitor apprenticeship scheme and have taken on a number of apprentice and trainee solicitors again this year.